Want to learn more about the Oracle job interview? 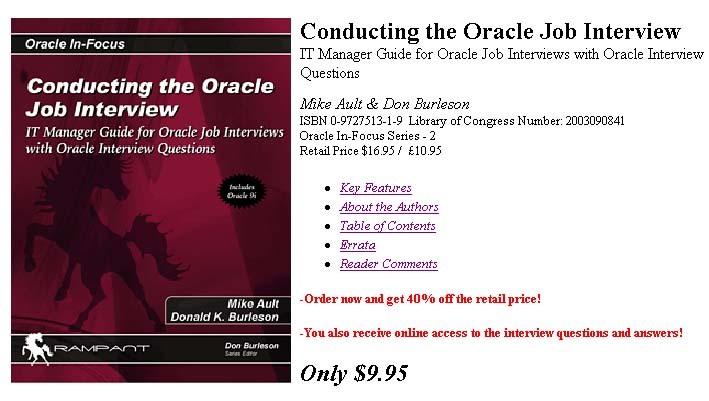 This book covers Oracle job interview facts, questions and interview advice. Have Oracle job interview questions? 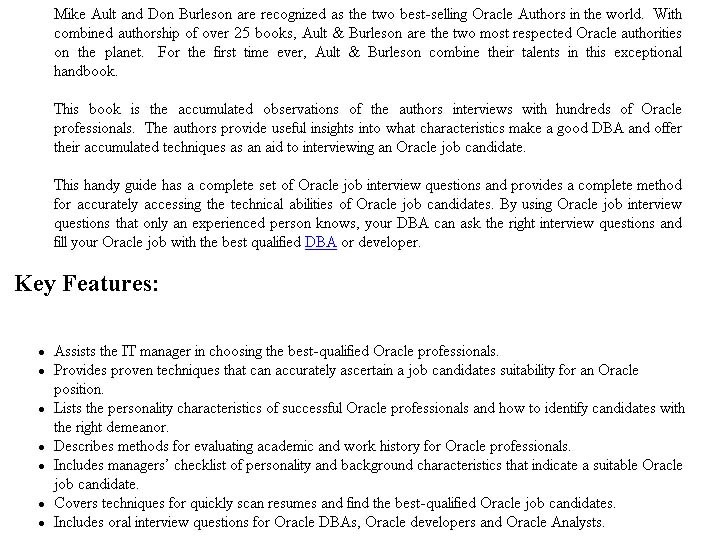 Discover them here in our guide book, which covers all aspects of the Oracle job interview.